Even from when I was a little boy, I can remember vividly the attempts that my mother made to try to get me to be more empathetic towards others. “Walk a mile in their shoes…” was a phrase that was commonly used. In safety, empathy is a very effective soft skill when it comes to engaging the hearts and minds of the very people who we endeavor to protect. 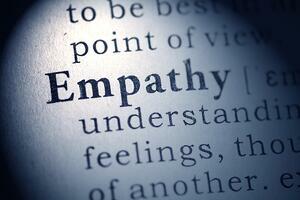 Empathy is a necessary competence for safety professionals, or really any professionals. In communicating with others, it’s worth noting the onus of responsibility to ensure transmission of the message is on the sender. In other words, if I’m trying to tell you something, it’s my job to ensure that you understand what I’m trying to say. The empathy gap occurs when a safety leader has experienced a previous event, similar to a current situation or incident that was emotionally impactful. Ruttan, McDonnell & Nordgren (2015) note that the tendency is to “underestimate just how painful that experience felt in the moment.” As human beings, it is easy to downplay the emotions associated with a difficult past event. The implications here for safety leaders are fairly obvious. Understanding that the empathy gap exists allows for identification of it in operational settings, which can help the safety leader more effectively be empathetic. Knowing that the first instinct is to automatically downplay the event, it will be worth it to the other party to take a little extra time towards displaying that empathy. The second human factor in play is a form of confirmation bias. Having been through a similar incident or event, and having put some time and distance on the other side, increases our being “confident about [our] understanding of just how difficult the situation is” (Ruttan, et. al, 2015). The truth is, and herein lies the relevance for safety leaders, that we all experience things in ways that are unique to the individual. Just because one person is impacted by certain set of emotions or thought about an event, doesn’t mean that the experience will be largely the same for everyone. For instance an unmarried worker will experience an incident involving a workplace injury much differently with respect to emotional impacts, than one with a spouse. Interpersonal communication – e.g. peer mentoring, new employee inductions, on-the-job training. These workplace programs are likely to be influenced by trainers or other managers who can unknowingly create empathy gaps. De-emphasizing the safety leader’s personal experience – focus less on the background and leader’s experience and more on the apparent emotional impact to the involved party. Part of being effective as a safety leader means that not only do we have to manage our own emotions, but assist others with the management of theirs. In most industries, and most situations, experience is a necessary component for success when indexed properly. However, when it comes to being empathetic, the ability to connect supersedes our ability to relate.